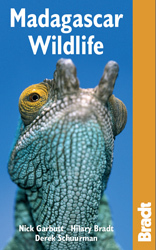 RANGE and DISTRIBUTION: Eatern montane rainforests of Madagascar from Maroantsetra south to the Mangoro River. Can be seen at Mantadia. 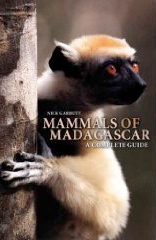 The diademed sifaka is one of the largest lemurs and a powerful jumper. 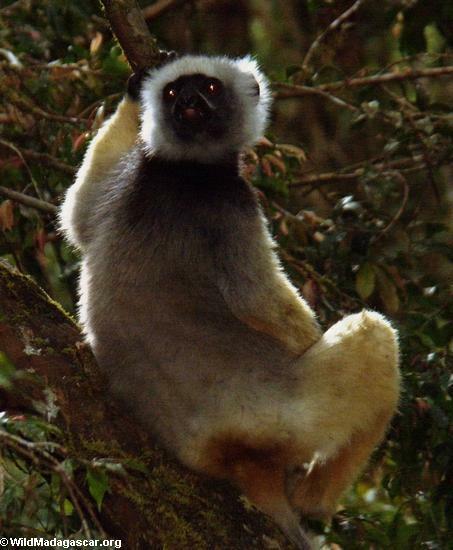 This species is considered among the most attractive of the sifakas. Diademed Sifaka (Propithecus diadema) -- The behavior of the diademed sifaka, Propithecus diadema.